Siegel & Stockman has been making tailor’s dummies, window bustforms, mannequins and accessories hangers since 1867. Stockman’s mannequins are famous worldwide thanks to the accumulation of knowledge and skill passed from generation to generation. These mannequins are used by the finest Haute-Couture and fashion industry companies. Handcrafted in the workshop near Paris, Stockman’s bustforms have the elegance and the refinement of the French Savoir Faire. Specializing in tailor’s dummies, Stockman has been reflecting women, men and children’s body shapes for 150 years. 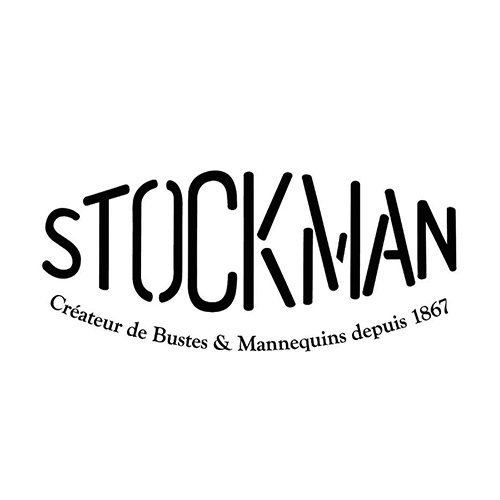 Stockman mannequins are made from papier-mâché which gives them longevity, resistance and charm. A Stockman bust is an heritage. Moreover Siegel & Stockman got the ‘Entreprise du Patrimoine Vivant’ French label in 2012.